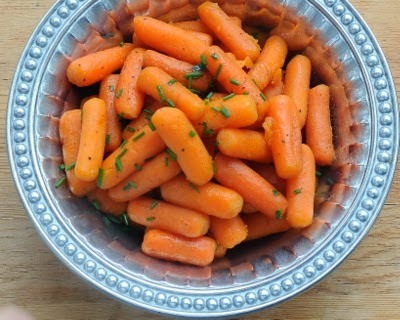 Easy-Easy Slow Cooker Honey Carrots make a perfect side dish for any holiday! 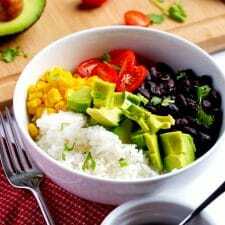 Use the Recipe-by-Photo Index Page for Vegetables to see all the slow cooker vegetable recipes that have been featured on this site. Tomorrow is Easter, and if you’re making dinner you probably already have your main course planned. But if you’d like a last-minute idea for an easy side dish, I’m recommending these Easy-Easy Slow Cooker Honey Carrots from A Veggie Venture. My friend Alanna says these carrots are so good that it’s even okay to use those “baby” carrots she normally advises against. According to Alanna, both kids and adults like these carrots, and after reading the ingredients I’m sure she’s right about that. Get the Complete Recipe for Easy-Easy Slow Cooker Honey Carrots from A Veggie Venture. 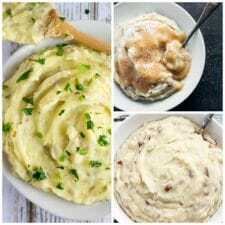 Use the Recipe-by-Photo Index Page for Vegetables to see all the slow cooker vegetable recipes that have been featured on this site. I'm not usually a fan of cooked carrots, but with honey and hot sauce in the mix, I'm willing to give them another try. I made these to go along with Easter dinner. I used Chalula in place of Tobasco in a pinch, but they turned out great. I will make them with Tobasco next time just to compare. I do not like really over-the-top sweet carrots, and would highly recommend this recipe, for a very mild yet tasty alternative! So glad you enjoyed the recipe. I tried these yesterday. I was delighted that the carrots turned out perfectly cooked, with great texture, neither mushy nor undercooked (my carrots generally turn out one or the other, whether I boil or steam them — I'm an inept cook). But I din't care for the sweet taste all that much; would it still taste fine if I leave out the honey?